Name a book you hated. How interesting that this fell in the same week as the top ten & series books I DNF'd... Anyway, a book I've hated (and finished)? 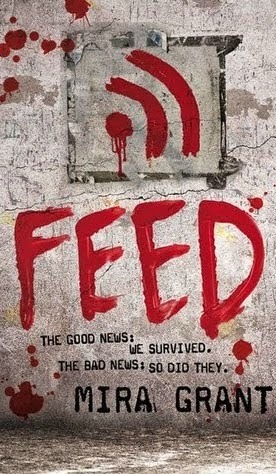 As always, I'm sure this is an unpopular opinion, but I couldn't stand Feed. I hated the characters and the story... You can read my review here if you're interested!